I recently moved to a new city, which means…I need to find a new tailor! Oh no! My Los Angeles tailor is amazing, but I can’t drive back and forth for my tailoring needs (I tried, believe me), so it’s time to find a new tailor. When you’re a special size and most clothing hasn’t been made with you in mind, the only way you’re going to find a great fit is if you get things tailored. It’s not fair, and can get expensive…believe me, I know. In fact, even if you’re not a special size, there’s no way clothing manufacturers are going to get things completely right for your body. 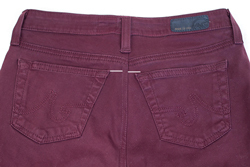 Or get your pant inseam perfect. Or know your bust:waist:hip ratio. To expect a mass produced item of clothing to fit you perfectly is a pitfall a lot of women fall into, and quickly leads to fitting room depression when clothes don’t fit. Sometimes we get lucky and find items that fit amazingly, or close enough to squeak by, but to bypass a great item just because it needs a hem, or go your life without a button down shirt because nothing fits off the rack, is no way to live. And once you get a few things tailored, perfectly, just for you, a whole new world of fashion will open up to you. Okay, so how do we go about finding a good one? 1) Find tailors with high review ratings in your city. Search local review websites like yelp and citysearch for “tailor” and “alterations”. Extra points if there are positive reviews from other petite women. This is how I found one of my favorite tailors in Los Angeles. Share any other tips for finding a great tailor in the comments! Great post! #7 is important. Ask to see specific examples, like a pair of pants with the waist taken in, a jacket or blazer with the shoulders narrowed, or a dress with the torso slimmed. Ask how much those examples cost. I think I did a post a looong long time ago showing some of my alterations failures and how I wished I had examined their work prior to paying so much for garments to be destroyed. Oh and #10 – it's not just cheaply made items, but also items that you don't see yourself LOVING. I've gotten quality items altered (first designer denim hem I paid $25 ..ahhhh…for the original hem. It came out great, but I didn't love the style and never wore them). Like asking for custom menswear tailor, you could ask around for bridal tailors. They have to do SO many alterations. Another suggestion (though I know this isn't what you were asking for): consider taking a sewing class at a local fabric/sewing store and getting an inexpensive sewing machine from Target. My mom taught me how to sew back in the 70s when I was just a young girl and it has proved to be such a valuable skill! I can hem my designer denim with the original hem, I can hem a skirt with an invisible seam, I can shorten jacket sleeves, I can create darts, I can taper. It has saved me $1000s! Granted, it takes more time that dropping something off at the tailor (maybe not if you consider driving to and fro), but I work it in on Saturday mornings while my kids are watching cartoons. I keep a basket in my bedroom with things to alter and grab one if I have a spare 30 min. It gets easier with practice. I need to try out Christina's recommendation -Francois. but I haven't heard much about him or on yelp. Great tips. I have never taken my clothes to get altered due to the price. Most of the time I just deal with ill fitting clothes which is not good. I am hoping to do a major haul on clothes outside the US soon and get them altered at a fraction of the price. @PetiteAsianGirl – Great tips Jean! 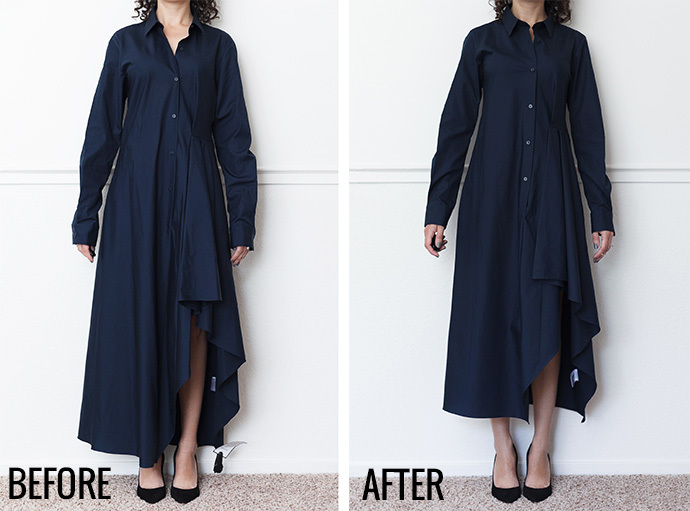 Asking to see more difficult alterations (like taking in the shoulder of a jacket) is a wonderful point. If difficult alterations look good, then the tailor should be able to handle your worst tailoring jobs. Also a great point about #10. Making sure you LOVE the item is very important. If you're going to invest in alterations in a piece, make sure you'll get lots of wear out of it, and actually ENJOY wearing it. Otherwise, what a waste of money! @ReallyPetite – You're right, my tailor is trek for you. I'm sure if you do some research, you can find a great one closer to home. @AubreyOhDang! – Me too! He's going to be my next tailor attempt. I'm so glad Christina shared him on the AN Forum! i think it's really important to talk with your tailor about what you want and what they can do. sometimes what you had in mind isn't really feasible given the cut of the fabric or the material, so the result of the alteration won't end up being what you wanted. i've lost many items this way unfortunately. these are great tips though and thanks for posting this! Great tip with the formal evening wear! I never would have thought of that, but it does make sense that a tailor would be able to handle anything if they can alter difficult formal wear. Who was your tailor in Los Angeles. I had a great tailor but he went out of business. I need someone who really knows what he/she is doing in terms of altering men’s business and casual clothing. Ideally it would be someone who came to your house, but I’d be willing to drive pretty far to find someone good. I’m in the Hollywood/Los Feliz area. Hi Ric – My tailor is Marina at First Class Tailors in West LA. She’s a bit far from you, but a friend of mine swears by Murat’s in Beverly Hills. Still a bit of a trek, but closer than the west-side for you. Good luck finding a tailor! My mom is a “drycleaner tailor” and all our customers say shes far better than anyone they’ve ever been to! We’ve even done wedding dresses and do men’s suits all the time. To say that “drycleaner tailors” are not as skilled is an insult..
Hi Kpxbabii! It’s fantastic that your mom is an excellent tailor! As I’m sure you know, there are exceptions to EVERYTHING, and this post is just a series of tips for people who are completely clueless as to where to look for a good tailor, based on my experiences (and others I know). If your mom is as good as you say (all family biases aside) then I’m sure she would end up falling under the category of a “good tailor” as per tips #1 & #2, because no matter where a tailor works, a good tailor really gains customers based on word of mouth. 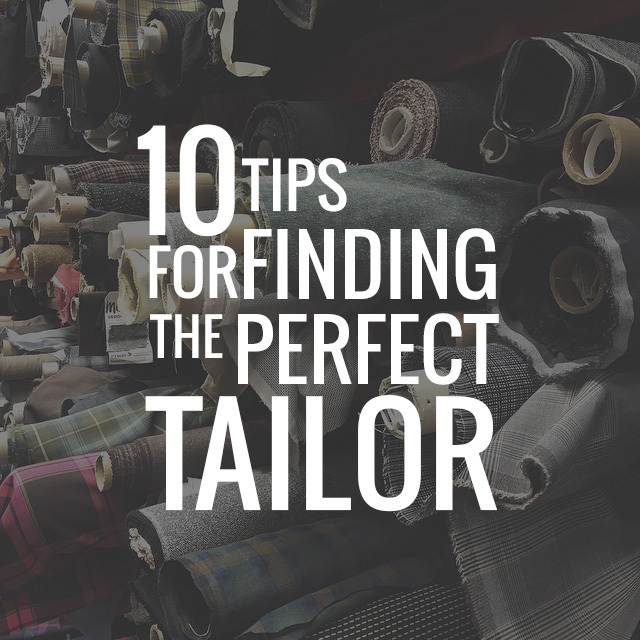 Your tips for finding a good tailor are right on. Yes you can find a few good tailors in dry cleaners but most are over worked and under paid. They tend to hurry the work as the piles are endless and most do not do in dept alterations as you stated. Kpxbabii your mom probably would make more money on her own if she is as good as you say. Never mind, wrong search term–Kelly, please delete? I am a tailor and i work at home. Skip dry cleaner and deptartment store tailors. Thay are to busy and in hurry.Thaywill not take a special care with yor garment.Look for tailor working at home like me.My ladies saying i am the best in town. And onceyou find a tailor that do good job for you,a whole world of fasion will open up to you. writeon my wall if you need my help. As someone who has spent many hours altering clothes, very good advice. A good alterations specialist is worth not having to find someone else to fix a botched garment. I really thought tailors/dressmakers were only for rich matrons ! Using a tailor seems to actually SAVE money – if your clothes fit right, you wear them more often! Wow, those are excellent advices! I will surely remember these when I go look for my tailors! I’ve never given my clothes to tailors before but I think I have to in some of my clothes that are more than just hemming (I usually do that myself). Thank you! any good tailors in the sacramento area, that is great with petites??? oh, and i mean sacramento, california. Great advice! I especially appreciate the point about looking for a tailor specializing in custom mens wear. Thank you! I loved your article! So many great points! Thanks! yes , its hard to find a good tailor and its all the more painful when you move to a new city. provide custom clothing services around the world without a hitch, all you need to do is send in your design image or just put it in words, we will do the rest. Get the fabric, help you with measurements, stitch, and deliver..
Any luck finding a tailor in the bay area? 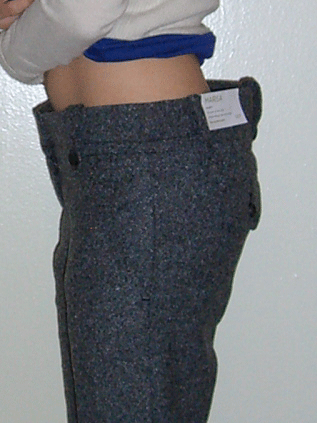 I also recently moved and am looking for a tailor that is knowledgeable of petite sizes. Thanks! Pingback: The Best Wide Lower leg Jeans as well as The best ways to Don Them | Schols Red Cross. Even though this article was written 5 years ago, the content and tips are still what you need to consider when finding that perfect tailor for your alteration needs in any city you’re located. In New York City, where I’m located, there are many “custom tailors” and finding the right one can be a daunting task. Articles/tips such as this, can come handy. Thank you for sharing. I agree that you would want to look for tailors that advertise being a specialist. I would imagine that if someone is really good at their job it would make sense that they would advertise it. My husband is looking for a new tailor so he’ll have to find one that is specialized in custom menswear. My fiancee and I are getting married next month. I have gained a little weight, so I’m looking for a good suit alteration service that can help me look my best. I didn’t realize how important it is to choose a service that specialize in custom menswear to ensure they can handle the most difficult alterations. I’ll be sure to remember this consideration moving forward. I agree, if you’re going to hire a personal tailor then you want to find one with great reviews. After all, a tailor is a huge investment that you need to put a lot of time and money into. Because of that, you have to make sure that the one you are hiring will be able to give you the best work possible for your wardrobe.